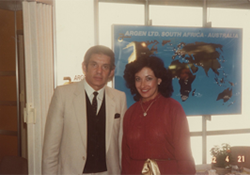 The Argen Corporation was born in Johannesburg, South Africa, in 1963, as a small family business with a focus on refining x-ray films and precious metals for jewelry. 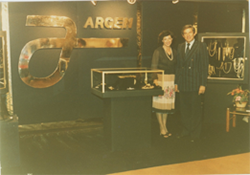 In 1983, Bertie and Jackie Woolf, along with their family, moved Argen to the United States where they opened their first office in New York City selling precious metal alloy to dental laboratories. 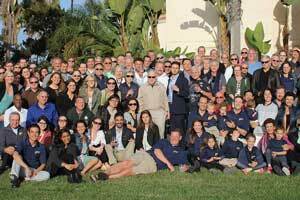 Just two short years later, they moved Argen Headquarters to San Diego, California where they rented their first 8,000 square foot facility. Over the next 10 years, Argen experienced tremendous growth and established a presence in Germany and China where they began to distribute dental alloys. In 1995, Argen became the largest manufacture of precious dental alloys in the United States and moved their San Diego headquarters to a larger, 40,000 square foot facility. 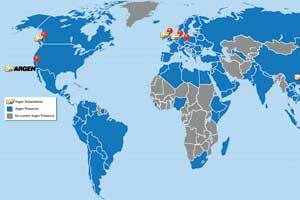 In 2001 Argen expanded to include subsidiary offices in Canada, Europe, Scandinavia and the United Kingdom and by 2005, became the largest manufacturer of precious dental alloys in the world supplying their products to over 105 countries. In 2002 Argen became the largest manufacture of precious dental alloys in the United States and by 2005, the largest in the world. 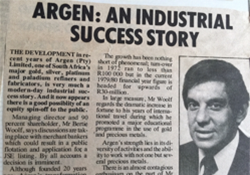 In 2006, Bertie and Jackie’s son, Anton, assumed the role of Vice President of Argen, focusing on business development and acquisitions. Anton quickly recognized the direction the dental laboratory industry was heading and had a clear vision for Argen’s future. In 2008, Anton became CEO and strengthened the core of the business while diversifying and expanding into new significant, strategic businesses. His vision regarding the rapid changes in digital dentistry led him to build Argen’s state-of-the-art digital outsourcing center, to support and partner with dental laboratories nationwide. By 2010, Anton had positioned the company to start fully integrating into digital and by 2011 Argen officially opened the digital outsourcing center – Argen Digital. Today, Argen’s 40,000 square foot facility houses alloy production, Argen Refining, Zirconia Manufacturing and Argen Digital. Today, Argen Digital has grown to over 100 printing and milling machines running 24 hours per day, 6 days per week serviced by over 150 people. 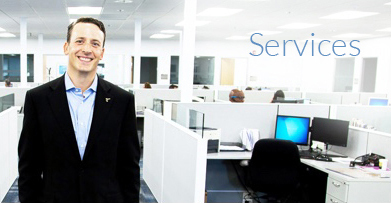 Argen’s innovative digital services provide the most complete digital solutions to dental laboratories of all sizes. Argen offers Selective Laser Melted (SLM) copings in high noble, noble and non-precious, Digital Precious Metals in 20 of Argen’s Most Popular Alloys, Argen®Mill milled gold crowns, SLM Captek, ArgenIS Custom Abutments, ArgenZ Zirconia discs and milled units, Digital Models, ArgenPMMA Temps, ArgenWAX and Digital Scanners. 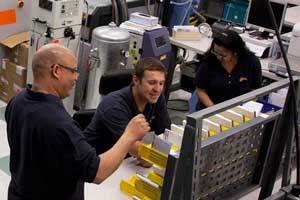 This rapid growth has fueled expansion and the purchase of a new 80,000 sq. foot building in San Diego, CA. 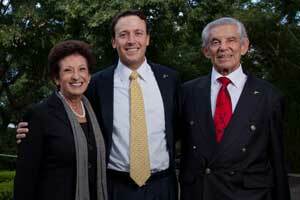 Coupled with their existing 40,000 sq. foot facility, it is clear that Argen is dedicated to the future of digital dentistry and has positioned themselves for continued advancement and success.